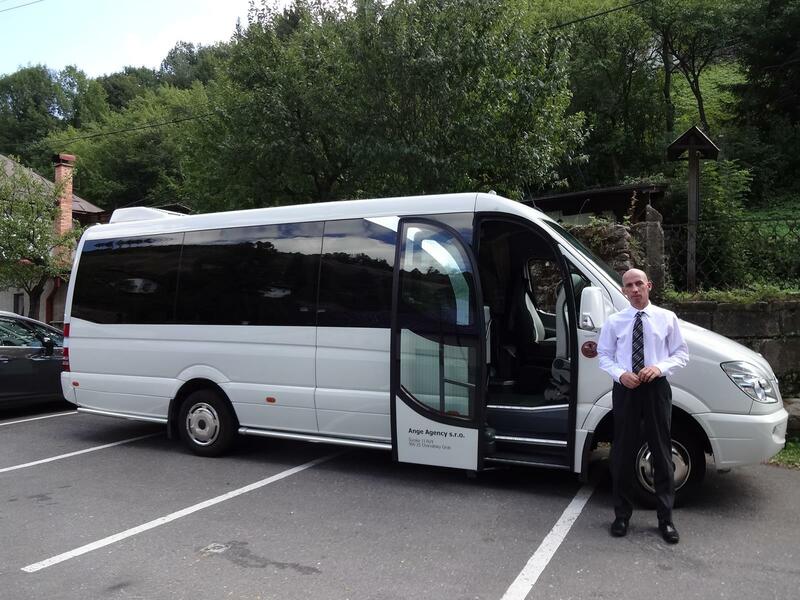 Transfer services for 11 days in an air-conditioned van or minibus with fridge/refreshments. 24/7 services of tour leader, native Slovak guide/interpreter and professional driver. Guided sightseeing tours each day. Tips/gratuities except for personal restaurant meals. Admissions to festivals, historic sites, museums and cultural activities. Special programs on Slovak culture, history, music and language. 3. Can I add on any additional activities for a fee? Spa treatment, saunas, massage at spa hotels. Cable car ride to top peak of the Tatry mountains. Personal guided hike in the Tatry mountains. Visits to Auschwitz Concentration Camp or Wieliczka Salt Mines in Krakow. 4. What options do I have to visit my family and ancestral village? Private day trip to visit family members or ancestral villages with guide/translator. Genealogical research on family origins. 5. Can I extend my stay? Yes. Private and group tour extensions to Prague, Budapest, and returns to Vienna can be arranged for an additional fee. Please let us know what your interest is when you are booking the tour. 6. Why travel with Slovakia Heritage Tours? We keep our tour groups small so that you can experience all that Slovakia has to offer at your pace, on a more personal scale than a larger tour focused on crowded tourist sites and large cities. We’ll explore the cities, but also small towns and countryside to piece together the unique history and culture that makes Slovakia such a charming blend of old and new. Whether this is your first trip to Slovakia or you’ve been before, we’ll make it easy for you to relax and enjoy the picturesque, ever-changing landscapes, and experience the traditions and contemporary culture. Learn traditional music and crafts. Take a cooking lesson. Travel high into the mountains on gondola or foot. Reflect on the architectural and cultural remnants of the Soviet era. Meet the people as they work to make Slovakia a vital part of the European Union. Also, because of the size of the group, we’ll be able to give you individual service before, during and after the tour. We’re here to answer your questions, translate, respond to your special needs and and do our best to tailor the tour to your interests. We’re passionate about Slovakia, and we love that we always learn and discover something new through your interests. To hold a place on one of these small group tours, send an application and $500 deposit to Slovakia Heritage Tours, 6 Cooleyville Rd. Ext., New Salem, MA 01355. (check made out to Slovakia Heritage Tours). Special early bird offer: Ask us about this $100 discount if we receive your deposit by April 1, 2014. There are limited places which will be reserved on a first-come, first-served basis. Payments for extended tours to Prague, or other cities are due 2 months before the trip. Payments for optional personalized day tours to family villages and genealogical services are due a month before the trip. If an emergency arises and you need to cancel, we will refund your payments on the following basis. All requests for refunds must be made in writing. Cancellation by June 1 : Full refund minus $150 cancellation fee. CancellationJuly 15 : Full refund minus $500 cancellation fee. Cancellation by Aug. 15: Refund minus $1200 cancellation fee. Cancellation After Aug. 15 : No refund. There are no refunds for people who do not have appropriate travel documents. There are no refunds for unused services included in the trip, such as hotel, breakfasts, excursions. 9. Does the tour provide travel or medical insurance? We are not charging a mandatory travel/medical insurance fee like some tour groups, but we recommend that people consider travel insurance by consulting their own insurance agent. Although we can not endorse or recommend any travel insurance company, some of the names in the travel insurance industry that you can review on the web are: http://www.travelguard.com ; http://www.tripmate.com ; and http://www.globaltravelshield.com . 10. Which airport is best to fly into and leave from? Since our tours start in Vienna, it is best to arrive in Vienna, a day or two before the tour starts, so that you can rest up and enjoy the city of Vienna. However, if you are planning on extending your trip before or after the tour, you might consider Prague or Krakow. If you are already in Bratislava on the day the tour starts, there is no need to travel to Vienna, as we will be spending the first night of the tour in Bratislava. Vienna is about a 45 minute drive from Bratislava. It has a bigger airport and there are more direct or one-stop flights to Vienna, depending on where you will be departing from. You can usually get a better air fare price to Vienna. Bratislava is a small airport and usually requires connecting flights through Prague. Since the tour will finish in Krakow, Poland, you will have the option of leaving from Krakow; continuing on with the Prague tour extension, or on your own trip; or returning to Vienna with the Vienna/Bratislava tour extension. In the past it has been less expensive to book your flights to arrive in Vienna and leave from Krakow(or Prague) than it was to fly in to and out of Vienna. We’ll be happy to help you tailor your airfare to what you would like to do as you plan your extended trip. 11. Why is the tour ending in Krakow, Poland? Consider beautiful medieval Krakow with its lively ten-acre Market Square, Renaissance Cloth Hall, and Wawel Castle on the banks of the Vistula River and you understand why Krakow is an exciting place to visit. But, why is it included on a Slovakia Heritage Tour? Krakow, a vibrant fascinating city, shares a common Slavic history with Slovakia. It makes sense to not retrace our steps back to western Slovakia but to travel north of the Tatry Mountains to enjoy Krakow’s similar traditions and history nurtured long ago by ancient trade routes from the Far East through Krakow and on to Bardejov, Presov and Kosice. While Krakow was not part of the Hungarian Empire like Slovakia, both Slovakia and this part of Poland, known as Galicia, were part of the Austro-Hungarian Empire from 1820 – 1918. Krakow is a piece of the puzzle in understanding the long history of Slovakia and Central Europe. While regional and village variations are strong, food, music, dance and other traditions represent a common blended culture of the Slovak, Polish, Ukrainian, and Ruthenian(Rusyn) people on both sides of the Carpathian Mountains. Many Slovak-Americans are aware of this common culture from living close in the United States to Polish, Ukrainian and Rusyn neighbors, friends and family. Some of the Eastern Slovak dialects give evidence to the Slovak-Polish cultural overlap from a time when country borders were often moving north and south of the mountain range. On the practical side, Krakow has a large, international airport that makes it easy to return to the states or to travel on to other locations. A nice bonus, the air fare to return to the States from Krakow (with arrival in Vienna) is usually a little less expensive than a Vienna to Vienna round trip. Ending in Krakow, makes it easier for people on the tour who want to continue on our Prague three-day extension tour. The van will leave directly from Krakow with stops at interesting locations in the Czech Republic. We will also help people arrange travel to return to Bratislava, Vienna or other parts of Slovakia. Travelers will also be able to extend their visit in Krakow and explore other parts of Poland.